I hope everyone here in the U.S. had a great Thanksgiving! I ate way too much, so next week my wife has informed me we will be eating lots of salad! NOOOO!! Anyways I've been reading over my copies of the new Old School feel Sci Fi RPG FrontierSpace, and am really enjoying it. Part of how I learn the nuances of a new system is to work up some interesting aliens and monsters for that system. 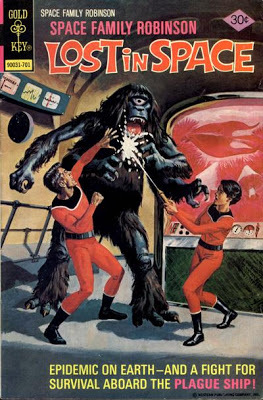 I used the Alien Creature Generation rules from the FrontierSpace Referee's Manual. Enjoy!  Frenzy/Berserk: When this creature is reduced to half its starting BP, it enters a frenzied state, lunging and attacking anything it can reach (add 20% to attacks and -20% to resistance checks, increase all damage by +5). 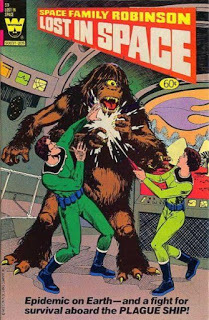 These large 8'+ tall one-eyed alien apes are a true terror whenever they are encountered. Originally from an obscure jungle planet on the Frontier, they are scattered across the galaxy apparently as a result of zoo exhibits. Some of these beasts have escaped into the wilds and now prey upon those that once viewed them as freakish exhibits. To compound the problem a recent trend by pirates, unscrupulous criminals and worse is to use these creatures as guard beasts. However, only the most vile and desperate would do this for no one has really been able to successfully domesticate these creatures, and they seem particularly hostile to humans. Many cantina tales exist (some are even true) of criminal hideouts being overrun by the very beasts being used to guard the compound. I first worked up this space simian back in 2012 for Stars Without Number. My how time flies! 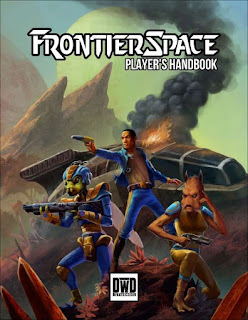 I recently picked up the Player's Handbook for FrontierSpace, a percentile based Sci Fi RPG from DWD Studios. I have to say I really like it! The system is lite enough to be easy to pick up and play quickly, yet has enough moving parts that characters feel different and unique. The combat system is also light, yet versatile. The artwork hearkens back to my old school gaming days, and I mean that in a positive way, feels very much like the old Star Frontiers game, with a sleek, fun rules system. I would have liked the psionics abilities to have been included in this book rather than the Referee's Manual, but I understand not all Referee's will be using psionics in their games. All in all, I am quite pleased with this purchase and recommend the game for those looking for a fun, easy to play/run Sci Fi System.You can get it Drive Thru RPG. I'll be posting more about this game over the holidays. 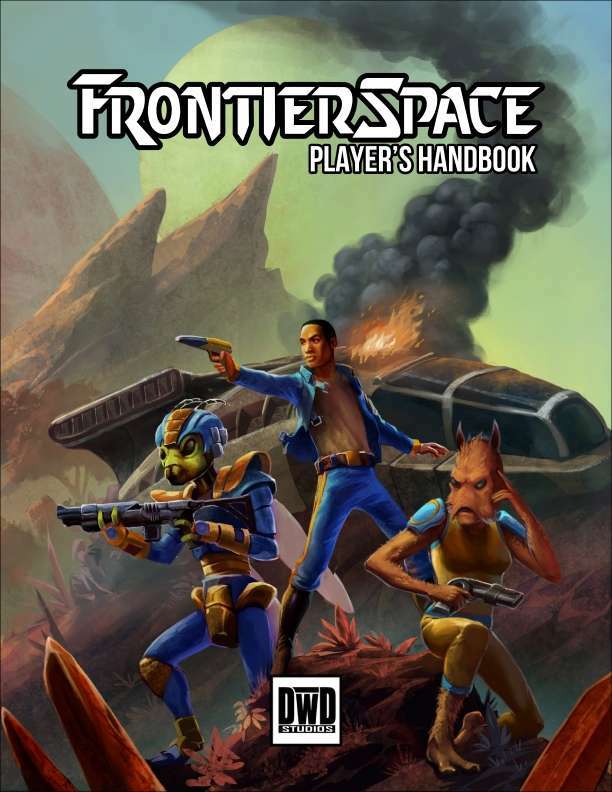 I'm currently playing in a face to face 5E game, but hope to take FrontierSpace for a test run soon!